Feet need showering from time to time. Not sure what flat feet are, or how to tell if you suffer from this condition? Keep reading and let the Boot Bomb will tell you all about it. We are going to discuss fallen arches in further detail to help you better understand this common medical problem. Many people suffer from fallen arches. Many of them aren’t even aware. Truth be told, flat feet can ruin your life without you even knowing it. Chances are, if you’ve come to this page… you already know you’ve got fallen arches, and are looking for running shoes with good support to help you run your next 5k. So firstly, we will review a wide variety of footwear that will be ideal for reducing pain and other common issues that arise with having flat feet. If you get the right running shoes, it’s pretty easy to boost your foot support and increase your running comfort! The amazing ASICS Women’s GEL-Nimbus 16 shoe is meant for anyone who has issues with pain in their feet. Particularly, these are made for those with overpronated feet and even for those with fallen arches. They are extremely comfortable for all feet-types. The mesh fabric that this shoe is constructed with is made to stretch in four different directions. This fluid stretch system provides extra movement while still keeping your foot 100% stable. The individual lace holes used are added to give your foot more flexibility and movement while you are running or exercising. The strong structure in the back of the shoe helps with stability in the heel that provides a better foundation for the entire body. On top of these wonderful features, the insole is removable so that you can add your own orthotic to the shoe if you would like. The rubber sole is also designed to bounce back with every step that you take. Inside the rubber sole, is comfort gel technology that absorbs the impact of your foot with added body weight when you hit the ground. The heel of the shoe is slightly raised to help reduce the strain of pressure on the heel. This is meant to disperse the pressure of your body weight better throughout the entire foot. If you turn the shoe upside down, you will notice a durable plastic base in the middle where your foot arches. The plastic structure is meant to provide the arch of your foot more support for a more comfortable walking or running experience. The inside of these amazing shoes is possibly my favorite feature. The fabric is so comfortable and allows your foot to breath when sweaty, even though the design is meant to fit your foot like a glove. The wide variety of colors is also one factor that seems to really catch the eye. All in all, they are perfect for almost every type of occasion but are especially excellent for running and exercising! The ASICS Women’s GT 1000 2 is one of the best shoes that you can buy for mild pronation. With additional supportive cushioning around the base of the ankle, these are perfect for individuals with pronation issues. These are also perfect for those with runners knee. The support system that is in place helps provide better stability to the foot’s arch, ankle, and even the pressure points of the feet. Since they also have removable insoles, for those with more serious overpronation, you will be able to add your own comfortable insole orthotic to the shoe. However, the insoles that come with these are also fitted with amazing foam to cradle your feet with every step you take. Extremely breathable mesh fabric allows consistent air flow into the shoe, helping cool down your feet. This shoe also comes with a rubber sole that has pockets of gel inside for a more comfortable experience. This means that the gel-cushioning sole for is perfect for maximum impact absorption when you are exercising. The pockets of gel are located in the heel and also in the front of the shoe where the ball of your foot will be. So unlike with other running shoes that only focus on the heel, the front of your foot is completely supported by the comfortable gel technology. The ASICS Women’s GT 1000 2 is also fitted with weight-reduction technology that will actually make your running experience like floating on a cloud. You will be surprised at how weightless your shoe and your body feels when wearing them. The middle of the arch is fitted with added support to keep your overpronated feet in check. Making sure that you are comfortable when you are exercising or running is not the only thing these shoes provide. They can be worn even for everyday activities! Vionic Women’s Motion Venture Active Lace Up is an innovative piece of running technology! This piece of amazing fitness technology is designed specifically to work best for runners. Amazing high-performance running shoes, the Vionic Women’s Motion Venture Active Lace Up is made for anyone who is looking for a more comfortable walking or running experience. These are made with incredibly breathable mesh fabric to allow the utmost air flow in while you are wearing them. They are also constructed with something Vionic calls first-ray technology. This is basically a more flexible area of the rubber sole that is made specifically for the big toe. It provides additional stability to the foot while also allowing better movement for the joints when walking or running. Just by looking at the insole, you can tell how comfortable this shoe is. The shape of the insole is meant to hug and cradle your foot like a baby. The padding lifts up the arch and has a heel cup that supports your heel. This maximizes the stability of your foot by allowing you proper movement while hugging your entire foot. Under the insole is another set of stabilizing pads that add even more support to not only your heel but also the ball of your foot referred to as the strike areas of your feet. This simply means the part of your foot that hits the ground when you walk or run. These points tend to be the first to start hurting or feels serious pain. This shoe is meant to help realign your ankles and legs so that your body feels less stress on the pressure points that your weight will fall on. When it comes to these nifty, comfortable shoes, anyone can benefit from wearing these. ASICS Women’s GT-2000 3 is perfect for those who suffer from overpronated feet. The high arch comfort fit protection provides more than enough support that most other running shoes don’t provide. The many different fashionable colors also make this shoe super trendy and ideal for any personality. This particular exercising shoe is perfect for someone with a wider foot. These provide plenty of wiggle room while still hugging the foot for a lightweight and effortless walking experience. Most people find that this design has excellent support for those with high arches without having to use an additional orthotic. In addition to these features, they are made with Asics wonderfully constructed breathable mesh. This simply means that they provide ample air flow for all day wear without the discomfort of your feet overheating or sweating profusely. Not only is this shoe ideal for those with wider feet, but it also hugs the heel to support your heel and ankle efficiently in any situation. If you prefer to exercise by running, walking, or just intend to use these as everyday shoes, they will feel like you aren’t even wearing shoes. The light weight design makes these perfect for any occasion while you wear them all day long. You will forget that you are wearing them! What Problems Does This Shoe Solve? For those with extra pain in their heels and in the ball of the foot (otherwise known as the strike areas) the ASICS Women’s GT-2000 3 was meant for you! The extremely comfortable fabric on the inside of the shoe is so soft that you won’t have to worry about the pain and itchiness that you’ve experienced with other shoes. The soft and cushioned tongue also provide a soft and incredibly comfortable movement no matter what position your foot is in. This shoe is great for anyone who is looking for a soft, air like walking experience! The ASICS Women’s GEL-Exalt is the greatest technological advancement in gel cushioning technology. These shoes come in a number of fun and exciting colors to choose from. The fabric that is used in making this product is amazing for breathability and air flow with every step that you take. The tongue of the shoe is also fitted with this breathable mesh fabric to ensure that the top of your foot won’t become sweaty and irritated. Every time you take a step in these, the mesh expands and contracts for the utmost ventilation of the shoe. The gel that insulates the rubber sole provides additional impact absorption for the main strike points of your feet. SPEVA foam lined in the shoe and additionally added to the mid-arch section provide extra assistance to keep your arch feeling comfortable all day long. It provides more impact support for the arch of your feet when you are running or speed walking. The superior rubber is meant to protect against high abrasion and use, meaning that these shoes won’t wear out. They will remain as safe and supportive as the first day that you put them on and for a long time as well. These shoes fit just about any shape foot perfectly and provide ample arch support for those with mild to moderate pronation of the feet. For those with severe pronation, you may need to insert your own orthotic that was designed specifically for your foot shape. These shoes, with their breathable mesh fabric, provide more than enough room for those with wider feet or for those who prefer the additional toe room. Meaning, your toes will have plenty of room to move freely without squishing your joints together or downward. The laces of the Brooks Women’s Adrenaline GTS 15 provide a glove-like fit compared to their past versions. Brooks Women’s Adrenaline GTS 15 also uses more flexible laces for maximum movement when running and walking. You won’t need to worry about your feet feeling trapped or cramped even with the snug fit this product has. The diamond shaped mesh that Brooks designed this footwear with provides the best ventilation of any of their shoes yet! If you are someone who suffers from excessive sweating, especially with your feet, then you must try these shoes for yourself! Every step you take feels like you just opened a window in your shoes and you can feel the breeze washing over your entire foot. The sole is designed with highly intensive grooves to absorb extra shock and impact when running. The almost cleat like design helps grip the ground better and provides longer lasting wear and tear durability from running, walking, or even hiking. The outside section of the sole is made for better support all throughout the foot with added assistance for the midsection arch of the shoe. With the added support sections in the sole, they are still extremely flexible, allowing as much natural movement of all the joints. This makes them extremely comfortable to wear all day long with no pain and without feeling cramped. The extra wide opening of this product makes them a perfect fit for those with larger ankles. If you are struggling with swollen ankles due to pregnancy or diabetes, this could be a great option to try! If you have a high arch and overpronated foot, then these are perfect for you! If you suffer from fallen arches, these might provide too high of an arch which can lead to more pain in the arches of your feet. Overall, this shoe is perfect for those with overpronation issues and for those who tend to walk heel-to-toe. ASICS Women’s GT-2000 4 is specifically designed for overpronated feet. They are meant to be used as running shoes but are also ideal for everyday wear and even for exercising at the gym. Like the ASICS Women’s GT-2000 3, the 4th version uses innovative gel technology to provide ample support and impact absorption. When they designed this shoe, Asics really went all out to come up with a truly one of a kind running shoe. The gel that is used in this updated version of the GT-2000 is perfect for those who primarily strike the ground with their heel. Fluid ride technology also allows the user of these shoes to feel support in their arch area. They use this tech to provide the utmost comfortability when running or jogging. Your feet will feel like they aren’t even making contact with the ground. Like most of Asics other running shoes, these are equipt with breathable mesh ventilation for an effortless fit all day long. Don’t worry about overly sweating in these shoes, since the amazingly breathable mesh design is meant to provide more airflow than their previous versions. These amazing running shoes are perfect for those who are looking for an effortless and light-weight experience. If you have had issues in the past with running shoes that were just too clunky or bulky, the ASICS Women’s GT-2000 4 Running Shoes will be perfect to try out for yourself. Overall, this product is great for those with overly pronated feet and provide the utmost support of your arch and heel. The padding around the ankle and the tongue are excellent for those who like to wear lower socks because they provide comfortability and soft, all day wear. Saucony Women’s Ride 8 is perfect for those with severe foot and arch issues. The fun and innovative style comes in a variety of colors to match any personality. They also have supportive and flexible rubber soles with groove specifically meant to allow average movement and flexibility. Keynote: These shoes are on the narrow side, so those with wide set feet should be aware of this before purchase. Also, these shoes tend to run a bit small, so if you intend to buy this product, we recommend that you go with one at least half a size larger than your normal shoe size. This product is a perfect example of the marriage between cushioning and a responsive, supportive design. The sole is made with a what Saucony calls power-grid technology. This is a design consisting of a rubber sole with a middle comfort grid system, and then the upper cushioning sole. The shoe will distribute your weight along the entire length of the foot. It is meant to cradle the foot and provide maximized impact absorption of the strike areas of the foot. If you prefer shoes with a lightweight design, these are ideal. Most other running shoes can tend to feel clunky or oversized in the sole. So if you like to have a shoe that feels like you aren’t wearing anything, these would be a great design. The mesh material isn’t as breathable as some other running shoes for fallen arches. However, they provide a more flexible fabric design allowing a wider range of movement for the toes. All in all, these shoes are perfect for those who are considered a neutral runner. If you aren’t sure what that means, it just stands for someone with an overall average foot style. This shoe isn’t necessarily constructed to fit those with fallen or high arches, or for those with an overpronated foot. Saucony Women’s Omni 13 is exceptional for those with standard to overpronated feet. They provide excellent arch support to keep your ankles from rolling inward. This sole provides amazing arch support for an overpronated foot. The section of the rubber exterior sole that is designed to support your arch is fashionably designed with a crackled look. Saucony Women’s Omni 13’s mesh design is even better at providing breathability are sweat reduction. The mesh that is used within this shoe design is diamond shaped and larger than previous models. With the supportive frame, there is more stability around the midsection of the shoe where your arch is. This is constructed to add extra durability as well as less slippage while actually running or jogging. This updated design is made to provide more flexibility and natural movement of your foot. Since there is ample room for your toes in the front of the shoe, the flexible feature adds that something extra to make these shoes comfortable to wear all day. They are even great for all day hiking and supportive for a long work day as well. These running shoes come in some of our favorite colors and trendy designs that we’ve seen in a while. Favorited by many is the cracked rock like look the inside of the rubber sole has. With a more generic color pallet, these shoes come in colors that are perfect for everyday wear and will match most any standard outfits. Saucony is a leading brand in running shoes and comfortability. These have even been recommended by doctors for those with foot pain and poor arch support. All in all, these shoes are an amazing fit for almost every type of foot and arch out there. If you have back pain or issues with heel discomfort, this is definitely a shoe that you need to try. Currently in its 9th generation, the Brooks Ravenna continues to the highest levels of performance that its fans are used to. Unlike the previous versions, it’s now lighter and more responsive. You can now expect these women’s running shoes to deliver a supportive ride and a more energized performance. Apart from that, the Ravenna 9 is more flexible than the previous versions. Whether you are looking for a pair of shoes to hit the gym, or wear as your everyday casual shoes, then you can count on these running shoes to keep your feet comfortable and happy. So, what makes these shoes stand out? The upper of the Ravenna 9 features a breathable mesh, which provides a customized fit as well as ample ventilation. This breathable mesh is further enhanced with Element Lining, which helps to keep your feet dry and fresh. The upper also comes with a midfoot saddle, which locks down your midfoot while making the shoes visible at night. These running shoes for fallen arches are further equipped with a padded collar, which provides ankle protection and support, without sacrificing comfort. Most Brooks running shoes are fitted with the exclusive BioMoGo DNA midsole. And the Ravenna 9 is no exception. This midsole is divided into two sections – the DNA and the BioMoGo. The DNA is the main midsole material. Since it’s gel-based, it generates return energy every time you step on the ground. The BioMoGo material is included in the midsole unit to provide adaptive cushioning. Brooks has also fitted a Diagonal Roll Bar in the midsole of these shoes to prevent overpronation. The outsole of these women’s running shoes for flat feet features a combination of Brooks proprietary HPR Plus rubber and standard blow rubber. HPR Plus is renowned for its durability and high abrasion resistance. Apart from that, it ensures that you have adequate traction whenever you are walking or running on different surfaces. On the other hand, the standard blow rubber supplies flexibility and responsiveness, thus reducing fatigue. Saucony Women’s Hurricane 16 is a premium style runners footwear for almost every occasion. Saucony has done it once again! With this brands already expanding reputation as a leading brand in running shoes, their Hurrican 16 has once again blown the minds of runners everywhere. The back of the sole provides you heel with extra support and bounce for when running, walking, or jogging. A power-grid middle sole adds additional cushion for absorbing the impact of the strike points. This shoe is perfect for those with overpronation issues. Additional flexibility has been introduced with this updated version of the Hurricane. On top of these key feature upgrades, there has also been an updated cushion and structured support system added to the heel. This provides even more stability to the runner’s foot and ankles. The iBR-Plus rubber provides additional flexibility and lightweight functionality for all types of exercise. The extremely breathable mesh design provides additional air flow and maximum ventilation for those who sweat profusely. On top of those wonderful features, there is also a moisture wicking inner lining that provides extra sweat protection. Never worry about sweaty feet again! If you prefer to run late at night or early in the morning before work, you have the ability to do so safely. These shoes are made with reflective patches and fashionable designs for added safety when running or jogging in the dark. Overall, this is an amazing addition to the Saucony’s collection. It provides added heel support for maximum comfort in your key strike point. The flexible and lightweight sole is great for all day wear. If you have overpronated feet and high arches, these are the shoes you’ve been looking for! The New Balance Women’s W940V2 is amazing for those looking for an extremely breathable shoe. Making sure that your feet feel open and have a constant breeze is crucial for all day comfort. Providing extra stability for the mid-arch section is also imperative for a comfortable fit. The arch is reinforced with added stability and support while remaining super low to the ground. The thin sole provides a more lightweight and overall pleasant feel for all day wear. Overall this shoe weighs in at around 9 1/2 ounces to make you feel like you are walking on a cloud. The outer-sole of the design is made from rubber and reinforced with foam for even more impact absorption. Deep grooves have been updated into the sole of the shoe to add additional flexibility in the toe area. 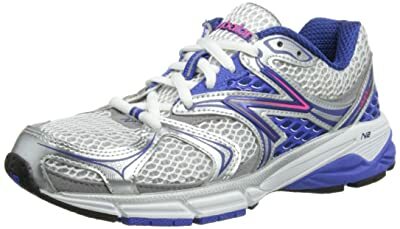 The fully lined and baby smooth fabric inside the shoe adds maximum comfort to this fantastic New Balance product. The orthotic cushion acts as the inner-sole and can be removed for easy additional support of your own personal orthotic. Since the sole of this particular product is so flexible, it is perfect for those who have diabetes. Being able to flex your foot at any time of the day will give you the much-needed stretch that you may require throughout wearing them. Added breathability is also a luxurious feature that anyone can enjoy but especially for those with diabetes. Keep your sweat in check to help maintain a pleasant and comfortable feel all day long. All in all, these shoes are perfect for those who deal with grave heel, arch, and ankle pain. Leave your discomfort and pain in the past with these new wonderful New Balance shoes. They are perfect for anyone who wants to regain their mobility! Mizuno Women’s Wave Inspire 9 is one of our favorite running shoes for pronation and are also great for supporting those who are overweight. This particular design comes in a couple of different styles which are sporty and fun. You can see the support this shoe can provide just by looking at the structure and shape. They also come with amazing rubber soles that provide some of the best support you can find in a running shoe. The bottom outer-sole offers max absorption of impact and added rubber padding to strike areas of the feet. The wave-like grooves are apparent when you look at the side. This design is meant to give added stress relief and bounce in your every step. If you turn the shoe around and take a look at the back, you will see a black padded rubber piece. This is perfect for additional structure and comfort for the heel of your foot. Since your heel is the part of your foundation that handles the most stress and pressure throughout your day, Mizuno wanted to focus on making this striking point as comfortable as possible for the wearer. The highly breathable large diamond style fabric is exceptional for added ventilation and airflow. Opposed to some of the previous versions and even other note-worthy brands, this mesh fabric is high performance when it comes to air flow. The additional slits in the toe provide further air to the problem areas when dealing with over perspiration. Overall, Mizuno has produced a top of the line running shoe for those with all types of feet. Providing the most comfort and pain relief possible was their goal, and they knocked this one out of the park! If you have any issues with serious or severe heel pain, this is the perfect design for you! Nike Women’s Lunarglide 7 are one of the sleekest and stylist design that we have found in a comfortable shoe for overpronated feet. Most other shoes that are available tend to be bulky (even when they are lightweight) in order to provide the heel and forefoot assistance necessary for proper structure. With the Women’s Lunarglide 7, Nike has once again shown why they are the household name in athletic equipment, specifically for your foundation! Not only have they came out with a fantastic piece of footwear technology, but they have also styled them in more color combinations than any other brand! Get more bounce with every step thanks to this innovative foam insole technology. The additional toe room and maximized flexibility has made these shoes perfect for those with wider feet or extra toe joint pain. This innovative mesh material is like no other meshing that you’ve seen before. It has a soft almost cotton like feel with still offering the maximum amount of breathability and ventilation that makes this product truly one of a kind. Ideal for Those with Runners Knee! The completely flat design of this shoe’s rubber sole gives optimal security and stability to your arch. Most other running shoes for runners knee and overpronation are made to support the arch but will begin to break down and wear over time. Some in just a few uses. With the completely flat rubber bottom, this style was made to last and give optimum support to even heavier or overweight runners and exercisers. Overall, Nike has done it again! Not only by making a stylish design with an amazing color palette, but they have also given us a perfect example of what a comfortable running shoe for overpronators should be like. If you haven’t tried this one yet and have been struggling to find the right running shoe for you, then you must try the Nike Women’s Lunarglide 7 before wasting another penny on lesser designs! The ASICS Women’s GEL-Foundation 12 was constructed with severe overpronators in mind. The maximized comfort fit is made ideally for those with higher arches that need more support and functionality. Reinforced cushioning makes for maximum support and an insanely comfortable fit! These are another Asics original made for running but are also fitting for everyday wear and for exercising at the gym or on the treadmill. The gel foundational design uses the newest gel tech to provide plentiful support and impact consumption. This foundation of gel and duo-max support is excellent for those who essentially strike the ground or pavement with their heel. Like most of the Asics other running shoes, these are equipt with breathable mesh for a purifying breeze and an all day a smooth fit for extended wear. However, the lining is where this design goes over the top! This shoe has one of the softest and most comfortable inner linings of any other design Asics have come out with. The duo-max tech allows the wearer of these shoes to feel relief and comfort in their arch area. They use this technology to implement the most comfortability when sprinting or jogging. Your extremities will feel like they aren’t even touching the earth as you make contact and push off with every new stride. Overall, this product is great for those with overly pronated feet and provide the necessary support for the arch and heel of your foot. The stuffing around the ankle bone and on the tongue are best for those who like to wear no show socks. This is due to them providing comfortability and soft lining like never before. Once again, Asics has come out with a running shoe that is ideal for all-day wear. The Gel Venture 6 is specifically designed for trail running. It’s outsole is made of Asics High Abrasion Rubber or AHAR, which is strategically positioned to boost flexibility and durability. And since trail running requires plenty of traction, these shoes are furnished with multi-directional lugs, which provide superior grip on a wide range of surfaces. Therefore, you can rest assured that this pair of shoes will perform well, regardless of whether you are running on even or uneven terrain. Apart from supplying traction, the outsole also protects other parts of the shoe from abrasive elements. The upper of these trail running shoes for flat is made of a sturdy mesh material, to provide the desired level of ventilation. Also, this mesh material is flexible. Therefore, it will accommodate the natural contours of your feet. Asics has also fitted these shoes with a fabric lining on the upper, which supplies additional air circulation while ensuring that your feet remain fresh even when temperatures rise. Securing your feet when walking or running should not be a problem, thanks to the traditional lace-up closure. ASICS Women’s Gel-Excite 4 is one design that we are especially excited about. Use these wonderfully fun and super comfortable shoes for all day wear and even more! Luxurious fit helps with a number of different issues that overpronated feet and ankles will cause. If you are someone who deals with overly sensitive heels and sharp forefoot pain, then this footwear is a must for you to try! Don’t leave your feet in those uncomfortable cheap shoes that you have been wearing. This design is specifically for those who suffer from runners knee. Don’t deal with the pain and discomfort of sharp pain in your knees and legs anymore! The gel technology is meant to provide ample support for impact areas and minimal pressure on your joints. The breathable mesh upper that this product has is perfect for providing maximum support and even more functionality than most other running shoes. Leave Asics to come out with such a sleek and sturdy design. The leather overlays also provide additional security so that the shoe won’t start to fall apart after just a few uses. With the innovative gel sole, this shoe will give you bounce in every step that you take. They use a removable insole (so that you can replace it with your own orthotic if you choose) and also use a midsole for optimum impact absorption. If you have looked and looked and still have not been able to find a comfortable shoe for you, then try the ASICS Women’s Gel-Excite 4. All in all, this style is great for those with knee problems and serious back pain. If you need something to provide your arches with extra support and stability, then use the ASICS Women’s Gel-Excite 4. Whether you want to run on the track, treadmill or on the road, the Brooks Addiction 13 has got you covered. If you are looking for running shoes for flat feet with arch support, then you should check out this model. You can wear these shoes the entire day, and you will not encounter any challenges. Specifically designed for overpronators, these shoes will ensure your feet are properly aligned, thus preventing pain. Mile after mile, the Brooks Addiction 13 will give you a cushioned ride as you breathe some fresh air in the woods. Brooks has done a great job of coming up with running shoes that are not only lightweight and comfort. A breathable and moisture-managing mesh upper ensures that your feet have adequate ventilation, comfort and protection whenever you are running. In addition, a moisture wicking lining keeps your feet dry and cool, while preventing build-up of unpleasant odors. These running shoes for flat feet and arch support, are also fitted with tough synthetic overlays around the midfoot area for optimal support and enhanced structural integrity. Both the collar and the tongue are padded to provide additional cushioning. Brooks has applied its exclusive DNA technology for the cushioning of these shoes. The DNA technology features fluid gel material, which adapts to the impact and stress you place on it. Brooks has then combined the DNA material with another compound known as BioMoGo, for long-lasting and consistent cushioning. Therefore, even if you are running on uneven terrain, these shoes will always deliver a cushioned and responsive ride. These Brooks running shoes for flat feet are further furnished with a progressive rollbar tri-density foam, which control pronation while promoting smooth transitions. The amazing Saucony Women’s Redeemer ISO is an innovative piece of fitness technology that is ideal for those with serious or severe overpronated feet. Since they also offer a wonderful ISOFIT they are ideal for anyone with major arch pain and heel discomfort. Do you start to feel sharp painful pricks throughout your feet or your heels only halfway through your day or even sooner? Then you need to try these Saucony shoes for yourself. If you have dealt with pain in your lower back as well, then you must try these! The new version of this Saucony shoe is perfect for all day wear. The rubber sole has slits down the side that you can see. These slits are designed to provide your feet with the utmost flexibility and range of motion needed for all day use, every day of the week. The newest version of the midsole power grid design has more comfort and stability than any of Saucony’s previous models. The thick yet lightweight sole acts as an updated supportive purpose that makes these a must have for anyone with serious overpronated feet. Fallen arches are also a great excuse to get these shoes. With all the structure that your feet could ever hope for, fallen arches won’t cause you pain when wearing these. These also offer an incredibly easy to wear upper mesh with synthetic overlays. This makes it hard to notice when you are wearing them and when you’re not. These are meant to show you the most innovative and luxurious feel in Saucony’s history. Overall, these are amazing for fallen arches and overpronated feet. These running shoes will feel like you are wearing a glove on your feet while allowing the widest range of movement for your feet and joints yet! As much as Brooks is known for, producing high quality running shoes, the brand has also made a name for itself in the hiking community. And this can be attributed to rugged line of trail running shoes – the Cascadia. Currently in its 12th iteration, the Brooks Cascadia is designed for running along rugged terrains. They come with durable, rubber outsoles that provide a firm grip on the ground while the ballistic rock plate softens the impact whenever your foot strikes the ground. The Brooks Cascadia 12 features Element Mesh fabric on the upper. Thanks to this breathable material, your feet will remain dry and cool regardless of the amount of time you spend running or jogging. They are further furnished with a moisture-wicking mesh fabric, which supplies additional breathability. Brooks has further applied the Conformable Saddle Construction technology on the upper part of the shoe to give your foot a snug and secure fit for a comfortable running experience. The outsole of the Brooks Cascadia 12 is made of environmentally friendly materials, which are both efficient and durable. With this rubber, you are assured of skid-resistant traction and grip, in all terrains and surface conditions. Brooks has further outfitted this rubber outsole with multidirectional gripping lugs, which ensure that your feet have a firm grip on the surface, especially during downward and upward traversals. On top of that, the 3D Hex Lug Pattern provides additional traction, thus giving you the confidence to run or hike even on slippery conditions. These running shoes for flat feet and plantar fasciitis are further equipped with the exclusive Ballistic Rock Shield, which protects your feet from injuries whenever you step on stones, trail debris or aggressive surfaces. With its durable and sturdy construction, the Cascadia 12 has the capacity to support plenty of weight. Even if you are carrying an extremely heavy back, these boots will support that weight, without transferring the stress to your joints. These shoes are one of the reasons why modern hikers are abandoning heavy hiking boots in favor of supportive and lightweight trail running shoes. ASICS Men’s GEL-Kayano 22 is one of the best shoes that Asics has ever come out with. The stylish design is great for all personality types and offers plenty of colors for you to choose from. They also have reflective patches to help keep you safe when running late at night or early in the morning before heading to work or school. Breathable fabric meshing has never been so soft and flexible. On top of providing incredible breathability and ventilation, this shoe also offers a new flexible fit for your toe joints. This newly updated feature to the Asics Kayano has made these a leading contender for some of the most comfortable running shoes available. The reinforced lining also means that with the movement of everyday wear, you won’t be sacrificing durability. This fabric also is engineered with ultimate wicking power to keep your feet dry all day long. The outside of the shoes also keep your feet drier while running in the rain, and won’t retain water. The outer sole of this Asics product is so comfortable for even the most painful arch and heel problems. These shoes offer a drop from the heel to the forefoot that is ideal for anyone who deals with regular stress and pressure on their primary strike areas. Making sure that you have a lightweight experience, these shoes are incredibly light when it comes to weight hinderance. This means that with every step that you take, your feet will experience the feel of walking on a cloud. The incredible exoskeletal design of the heel helps provide extra brace for when your feet impact the ground. If you suffer from serious overpronation, the heel will help give your ankles the extra support that you desire while keeping your feet from rolling inwards. Overall, these are an excellent running shoe that just about anyone would enjoy wearing. ASICS Men’s GT-2000 is made for those who deal with mild to moderate overpronation of the feet and ankles. They are supportive for your ankles and extremely comfortable for almost any foot type. If you need to wear an additional orthotic, they provide ample room and flexibility to do so. This design is perfect for those with severe pain in their heels and ankles. Poor fitting shoes can make your entire body hurt from your knees all the way up to your back and spine. The gel cushioning that the shoe provides in the sole is ideal for those who are looking for extra comfort. This product is designed for people with mild to moderate overpronation who tend to roll or sprain their ankles. This particular piece of innovative footwear was built to withstand almost any amount of pressure on the major stress points where you strike the ground. It is also recommended by doctors for those with overpronated feet. The fantastic new heel design in the shoe provides an optimum snug and soft fit around the ankle of your leg. When you lift off, you won’t need to worry about your heel slipping out of this piece of footwear. Like most of Asics other products, this one comes with a meshed netted fabric for better ventilation and sweat wicking. This means that you won’t have to stress about sweat and body odor smelling up your shoes or feet. If you deal with overpronation and over perspiration, this combination of concerns is swept away by this innovative design. All in all, Asics has once again provided us with a fantastic and exciting piece of footwear technology. Don’t just take our word for it though. Try these bad boys out for yourself today! ASICS Men’s GT 1000 4 is an oldie, but a goodie. A great piece of Asics footwear tech that I am proud to present to you. If you have been looking for an all-inclusive design that will provide the bounce, light wear, and support that you need, then look no further. With multiple different sporty colors, you will easily find one that will fit your personality to a T. So what exactly makes this shoe so great? We will tell you! The amazingly comfortable and luxurious SpEVA midsole is made to give you the bounce and support that you’ve been needing. With every step the foam conforms to the specific shape of your foot, meaning that you will never again deal with a shoe that fights your foot. Instead, the memory foam cradles and will even rock your foot back in forth when you strike the ground and step off. The grooves that have been inserted into the outer section of the sole will give you the much-needed flexibility required for all day comfort when wearing them. If you suffer from moderate to severe pain in your heels and in your ankles, these are perfect for relieving stress and pressure with every step you take. The new upper that Asics has introduced is meant to allow the most movement out of any of their shoes yet. If you have been dealing with major pain from your feet feeling cramped inside your shoe all day, then check out this model! Even if you have a little higher of an arch, this style is made for comfort and stability while allowing the most movement possible. Overall, these are a wonderful addition to the Asics family and will be a perfect fit for your closet of shoes. They stand out with the fun and sporty colors and will leave you wanting to purchase a pair for everyday of the week! The ASICS Men’s GT-2000 4 is the new upgraded version from their GT-2000, and we have found the upgrades to be luxurious and fitting. For anyone who wants to use a great running shoe for those with overpronated feet and high arch dependency then these are the product made for you! Asics has many different options for those with many different types of feet. However, when it comes to the GT-2000 4’s they knock it out of the park! Amazing and sporty looks in a variety of colors means that you won’t have to stress out about them having one that will work for you. Whether you are looking to use these for everyday wear or just while out on a run, you will find a look that you will be happy with. The new and improved heel design makes this shoe perfect for those with overpronation issues. It will snuggly hold your foot in place while making sure that your feet aren’t slipping and sliding everywhere when you are running. If you often deal with pain when standing, the comfort fit clutch will help support your ankles and keep them in the proper position. With the rearfoot and forefoot being the two main points of impact on the ground, Asics has designed this product with even more reinforced cushioning in the soles. Gel helps absorb the impact of striking the ground hard when running and then again in the lift off of these shoes. If you have issues with these two problem areas, then you need to try out these comfort made shoes. All in all, these are comfortable and ideal for anyone with serious pain in their feet. They do tend to run a little smaller and are more narrow than their grandparents. So if you have a wide foot, this would not be ideal for you. For normal and standard foot sized, you can’t go wrong with these! The Brooks Men’s Beast 14 is meant to unleash the most severe pain from those who deal with major overpronation. The fit is great for anyone with severe high arch pain and will effortless move with your feet for a better all-day fit. When dealing with severe overpronation, there are more things that you must take into account. Issues such as rolling and spraining your ankles is a serious problem for those who overpronate. Well, not anymore. Now you can enjoy your run with comfort and stability from this perfectly flawless design. Just by looking at the sole, you can easily see the issues that are addressed with the completely grounded rubber soles. They make sure that you will never take another misstep causing you to trip and fall. This also means that they will provide more support for your problem areas such as your heels, ankles, toes, and arches. Making sure that you are completely supported with an indestructible structure for maximum durability that won’t wear down after just a few uses. The saddle like technology that Brooks has introduced with this product, offers more structure to the entire foot. Be sure that your feet won’t be slipping and sliding around with your every step when you purchase this incredibly innovative piece of footwear. With the perfect blend of breathability and security of the glove-like fit, you won’t have to be concerned with sweating or slipping out of your shoes. Too many times have we seen people having issues with their foot stability due to a shoe moving when you need them the most. The tongue and collar also provide exceptional padding for a comfortable fit! Overall, these have been a wonderful addition to the Brooks family. We hope to see more innovative technologies integrated with the next product they roll out. So, what other perfect design will Brooks come up with next? Without a doubt, the Asics Gel Kahana 8 is one of the best running shoes for flat feet. It’s designed for athletes who tend to display overpronation and neutral tendencies. It can handle tough and aggressive terrain, while keeping you light and comfortable on your feet. It’s furnished with plenty of advanced features such as gel technology for shock absorption, the SPEVAFOAM midsole for return energy and a DUOMAX dual density system for stability and support. With such a wide range of top-notch features, these shoes are adequately equipped to handle the demands of a challenging run. Asics has used SPEVA foam as the main midsole material. This high-quality foam is renowned for its springy feel and high energy return. Also, it doesn’t break apart easily, even after using the shoe for a long period. This material cushions your landing, thus preventing transfer of impact to the joints and muscles. Asics has further applied its Gel Cushioning System on the rear part of the midsole, for shock absorption especially when your foot lands on the ground. For the outsole, the Kahana 8 uses Asics High Abrasion Rubber or AHAR, which protects the midsole unit against abrasion while delivering reliable traction on different terrains. If you are looking for running shoes for flat feet and overpronation, then you will appreciate this model. The Asics Kahana 8 is primarily a running shoe. Therefore, it’s designed in a way that will ensure maximum breathability. Breathable mesh is the main upper component. It features open construction, which facilities adequate ventilation into the shoe chamber, thus keeping your feet dry and cool. The breathable mesh has further been reinforced with stitched-in synthetic overlays. In addition, the interior wall is lined with smooth textiles, which prevent chaffing and irritation. The Brooks Men’s Adrenaline GTS 16 comes in several updated designs and styles that we are not used to seeing from other footwear brands. These are ideal for anyone who loves booth comfort and a cool looking style. The integrated and extremely innovative tooth design of the sole offers more flexibility and natural movement that many crave. This fantastic shoe is perfectly made to actually propel you forward more quickly with the updated aerodynamic fit. This means that it will snug your foot with the comfort fit and the new upper by Brooks. If also has the perfect marriage of mesh breathability while keeping the secure stability and durability due to the overlays. They make sure that your feet remain in position even when running the most difficult marathon. The new guidance system that Brooks has introduced with this new product helps your foot fall into sync with your natural movement. Even for those with overpronation issues, you will be able to naturally walk and feel like you never have before. The sole is meant to help naturally guide your body movement even if your ankles tend to roll inward. For those who deal with more issues when striking the ground and taking off, never again worry about taking that next step. When you hit the ground, the crash pad absorbs the impact that your feet usually deal with. That means that your feet won’t need to worry about heel or ankle pain. This even reduces the amount of stress on your knees and back, so these are ideal for runners knee. Overall, Brooks has designed yet another perfect fitting shoe for those with overpronation and runners knee. They have upgraded their previous designs and once again surprised us with this perfect fitting piece of comfort. The Saucony Men’s Guide 9 comes in some fun color pallets with ones perfect for every occasion. Whether you are running on the track or going to work, you can find a color design that will fit your wardrobe and personality. When your eyes first fall upon this beautiful piece of art, you will wonder what this product is all about. Well, we will tell you! Saucony always outdoes themselves with a beautiful and creative look without sacrificing efficiency. Their new Guide 9 comes for both men and women. The upper is made for maximum ventilation like they always ensure, however, the flex film adds security and durability. Flex film might seem light at first, but once you’ve tried these shoes for yourself, you will be able to see just how strong and durable this textile fabric truly is. These are designed with a mild to moderate overpronator in mind. Their innovative all day comfort fit and cushioning means that your feet will rock back and forth with every step while cradling your toes for those with joint pain. The new Everrun feature that was updated to the midsole means that you won’t be sacrificing comfort for durability. This cushioning conforms to your feet. Since it is also lined entirely from the heel down to the toes, even your toe joints will be cradled in the steps that you take throughout your day. The XT-900 Carbon is lighter than anything that Saucony has used before. It provides great flexibility while remaining durable. Your weight will be properly distributed throughout the entire shoe from heel to toe, so you will feel the relief of pressure as soon as you take these shoes on their first outing. Overall, these were perfectly designed for anyone with foot pain. They also have the same fit as the previous models. We were excited to review the New Balance Men’s M940V2! They offer an optimal support for almost every arch type and even more comfort than previous New Balance models! Even if you suffer from fallen arches, you can enjoy the luxurious cloud-like feel that this product will offer your feet. They come in pretty standard colors for almost every casual outfit, but what we are excited about is the mesh netted fabric these are made with. So let’s get into it! The toe and upper of the shoe provides standard mesh materials similar to ones that we’ve seen from New Balance in the past. However, the real surprise is in the back and mid-upper fabric design. They have maximized the breathability of their New Balance Men’s M940V2. With the large netting that is used in the construction, there is nothing more satisfying than taking that next step. With every step that you take the shoe will contract to “breath” air into and out of the shoe. So if you suffer from serious perspiration of the feet, then these are a must-have for your footwear collection. These are ideal for overpronators that also suffer from wide feet. If you have struggled with finding proper footwear to fit your wide foot, then you have to try out these! They offer cushioning support that most professional orthotics provide but with the added comfort of the bounce back this sole has. All in all, this is a perfect shoe for those with overpronated feet who also struggle with a wider foot size. Don’t take our word for it though, try them today for yourself and let us know what you think. Mizuno has done it again with the Men’s Wave Inspire 12! They come in several sleek and stylish colors for a cool run. Impress your friends with the Nike style design with the added comfort of a Mizuno brand shoe. The double fan wave provides optimum heel protection and comfort for you not just your heel, but your arch as well. The overpronation friendly style is ideal for those who need extra support. Ample room isn’t sacrificed for the support that you need. For those who are looking for a more comfortable fit, these offer great movement and flexibility for all day comfort. The durable upper is meant to hug your foot like a glove to add that extra support you need while running. As well as offering this added security, there is an extremely breathable new double-diamond mesh design for those with even the sweatiest or feet. The winged platform this shoe is made with offers more support and sturdiness when running even the most torturous paths. For those who deal with sprained ankles and foot pain due to overpronation and rolling of the ankles, these were made with you in mind. The increased platform is accompanied by a beautiful blown rubber that provides even more impact absorption for when you strike the ground. The added heel support also makes this ideal for those who crave flexibility and durability. All in all, these are perfect for you to use and will provide you with more support that you could ask for. Mizuno’s Wave Inspire 12 will inspire you to get out and run more! The Saucony Men’s Stabil CS3 has been out for a few years now but still offers some of the most support and luxury when running. Saucony is a household name when it comes to comfortable running shoes and has proven time and time again that they are one of the best brands for overpronation running shoes. The Stabil CS3 was made for those who deal with severe overpronation. Hence the name Stabil for the meaning of stability. The rubber sole is integrated with Saucony’s power grid system to provide better stability for your stride. They also are made like a neutral runner to offer more comfort for everyday wear as well. The power grid was designed for the maximum amount of comfort for when your feet strike the ground. They absorb the impact of every step that you take. Since they also center your foot better, you don’t have to worry about misstepping in these babies. They will guide your foot in the right direction by acting as a natural walking support. Saucony Men’s Stabil CS3 is also integrated with a cushioning sole technology that offers the best fit for the bottom of your feet. With every new step that you take, you will feel the insole conforming to your every curve. Over time, they will actually begin to adapt to your particular foot type and will learn the contours of every crevice and joint. If you have been looking for a great running shoe that actually remembers your every curve, then these are perfect for you. Overall, the Saucony Men’s Stabil CS3 is ideal for severe overpronation and will provide the utmost support your foot needs. Don’t suffer from the pain of insufficient running shoes. Get your life back with the Saucony Men’s Stabil CS3. The Mizuno Men’s Wave Paradox is a beautiful, stylish and artistic design for anyone who is looking for a comfortable yet fun looking shoe. The crazy line designs don’t just act as a cool look but also second as a durable lining for comfort and stability. They come in several color patterns to choose from. Even though they are fitted with this stylish look, they also still have all the breathability that you require while exercising. Since they are still breathable while being fun and inviting, the Mizuno Men’s Wave Paradox is one of Mizuno’s most highly sought after product. The sole is made from a lightweight rubber synthetic that allows you to run without feeling hindered. Take larger strides with these shoes since you will feel the effortless glide of running with gazel like speed and accuracy. Additional impact absorption will leave you wondering if you feet ever even touched the ground. Mizuno Men’s Wave Paradox also offers the most movement and flexibility without sacrificing stability. It will cradle your foot in a glove like a hug yet still gives you the ability to run and walk freely throughout your day. If you have been looking for a shoe that promotes natural movement of the joints in your foot, then you will be extremely happy with this particular product. We don’t know how Mizuno does it but they have once again come out with one of the leading fitness shoes in the sporting goods industry. All in all, this product is perfect for those with overpronation. If you suffer from major joint, heel, or back pain, then you must try these out for yourself. Use them all day long for a pain-free experience. ASICS Men’s GEL-Fortify isn’t just for men. They come in a women’s version as well and provide more support for anyone’s feet! If you have been looking for an innovative design that offers maximum support for your overpronation problems, then look no further! This shoe design offers you more flexibility while remaining as sturdy as possible. The Rubber sole is fitted with gel technology on the inside. This provides your entire body with better impact absorption with ever step you take. So if you deal with painful heel, ankle, back, or neck problems, they could all be solved with this single purchase. If your body is falling out of proper alignment, you will suffer from all sort of body pain. This particular shoe is made to help prevent additional body pain by keeping your alignment in check. Most shoes that provide the amount of security that your body requires won’t have the ventilation that most runners need. Not these babies. They offer a double diamond netted upper to improve breathability in your feet, keeping them from sweating. When you over sweat in your shoes, even if you are just using them as everyday footwear, it can lead to serious problems. Not only will you deal with smelly feet and body odor, but you will also deal with athletes foot. So if you regularly have issues with perspiration and athletes foot, then you should try these! The IGS system that is fitted across the back of this shoe will offer you more support and functionality when standing or running. They fit perfectly snug, so they won’t fall off while on the go. Overall, ASICS Men’s GEL-Fortify is a perfect fit for almost every foot type and provides flexibility for all day maximum comfort. The Gel Venture 5 comes with an upper made of a breathable mesh material, which ensures that your feet have adequate ventilation. This mesh material is securely woven to ensure it maintains its structural integrity for a long period. Synthetic overlays have then been stitched on the upper to provide structured support. Apart from providing structured support, these synthetic overlays also help the upper to wrap around your foot snugly and securely. These running shoes for flat feet are further fitted with a synthetic heel and toe cap, which protects the shoes against trail debris. On the other hand, a rear pull-on tab makes it easy to slip them on and off. Asics Gel Venture 5 is equipped with adequate traction to give you a secure ride. The outsole features multi-directional lugs, which provide a firm grip on all surfaces. Asics has also incorporated its exclusive high abrasion rubber or AHAR into the outsole unit to protect your feet against the hazards of the trail. As for the midsole unit, the Gel Venture 5 has used molded vinyl acetate, which is both responsive and lightweight. Apart from that, it provides shock absorption, therefore making your landings softer. Whether you are running on urban pavements or jogging in the mountains, you are assured of a comfortable experience, as long as you are wearing these shoes. The ASICS Men’s GEL-Foundation 12 is another reason why we love Asics! These are one of the most comfortable and luxurious riding shoes that you will find on the market. They offer more support and stability for anyone who uses them. If you have issues with fallen arches (flat feet), then you need to keep on reading about what these shoes can offer you. First, we want to talk about the sleek style and colors that these come in. For those of you who don’t prefer to use footwear with flash or fancy colors, the ASICS Men’s GEL-Foundation 12 have an option for you too. The design has been perfectly integrated as well with the comfort fit that these shoes can offer your foot pain. The winged sole offers more stability for your running experience. The ASICS Men’s GEL-Foundation 12 was built for those who tend to roll their ankles inward when they walk or run. Don’t worry about taking another misstep ever again. These will give you more support and comfort than most other running shoes can offer those with mild to moderate overpronation. Amazing and innovative technology in mesh netting materials were used in the construction of this footwear. For those who exercise or do a lot of running and jogging, these were made to give you maximum air flow all day long. Even for those of you who deal with mild to severe perspiration, you can find excellent ventilation with this product. Don’t deal with having to constantly change your socks or bring another pair with you where ever you go. The ASICS Men’s GEL-Foundation 12 has you covered. Overall, we have found these to be incredibly comfortable and breathable for all day wear no matter what time of the year it is. So look for this model the next time you are shopping for shoes! Altra Men’s Provision 1.5 is the perfect design for those who are looking for a more natural running experience. Even for those who suffer from fallen arches (flat feet) or overpronation, sometimes you just want to feel like you are running barefoot. However, for individuals with these foot problems, running constantly with no support isn’t really an option. That is until now. The Altra Men’s Provision 1.5 is made to feel like you are naturally running without sacrificing comfort and stability. The sole of these shoes are incredibly constructed to be flat and make complete contact with the ground. This means that your shoe won’t start to fall in or dip overtime. It also provides a more natural feel when you wear them. If you turn the shoe upside down and look at the sole, the strike points for every toe and joint have been taken into account. The dual EVA midsole supports the arch and the strike points while you are running or walking all day. If you deal with standard heel, ankle, or joint pain in your feet, these can provide the cushioning and comfort that you’ve been looking for. No matter what kind of arch or level of overpronation you suffer from, you can just insert your own orthotic to additional support. When looking at this product, it’s pretty easy to see that it was made for maximum breathability. The entire shoe is fitted with a breathable mesh ventilation material to give you more air flow. This will further the natural running experience without leaving your feet sweaty and uncomfortable. All in all, these shoes are perfectly designed for any runner who needs a little extra support but prefers a more natural feel. Take your first steps in these bad boys, and you will never want to use another shoe again! The amazingly fun and striking ASICS Men’s GEL-Surveyor 3 are climbing the charts in Asics number one running shoes. As more and more people start to try these for the first time, they find they just can’t wear a more comfortable running shoe for overpronation. Asics staple feature of the gel cushioning soles is added to this form as well. They have never gotten it more right! With every step, you can feel the bounce that is given with the initial strike and push off. If you prefer to use a shoe with the maximum amount of support when impacting the ground, you can’t go wrong with the ASICS Men’s GEL-Surveyor 3! Asics uses the SpEVA foam sole to offer you the most comfortable and luxurious ride so far. By making sure that your foot is cradled with every step, you will feel the rocking motion the foam insole provides. It will conform to your every move and even starts to match your curves the more you use them. Kind of like memory foam, it remembers the shape of your particular foot. This is even more ideal for those who have two separate foot types. The impact guidance system, or IGS, is used to give more stability to your foot’s foundation. The heel. With this additional heel stabilizing technology, you won’t need to be concerned about your ankle rolling or slipping out of the shoe at all. Overall, we love this product introduced by Asics. If you suffer from moderate overpronation and like what you’ve heard, then give these a try. We ensure that you won’t be disappointed! Saucony Men’s Redeemer ISO Road Runner is one of the sleekest designs we’ve reviewed yet. The crackle design in the sole is also a dead giveaway that these were produced by Saucony’s brand. They offer not only style but also stability. They are perfect for those of you who have wide feet since they offer sizes for a wider set step. Even those with the widest feet who struggle to find good fitting shoes can easily relax with all day comfort. Since these also tend to run a little wider in the toe area, if you typically order wide sizes be careful not to get one that is too wide for you. Saucony Men’s Redeemer ISO Road Runner has a perfect fit heel and sock liner to provide maximum all day comfort. Even the most difficult feet can melt into the comfortable heel and sock lining pad. They also wick away moisture to prevent rashes and chafing. So if you tend to sweat a lot when you run or exercise, then you have to give this product a go. Your heel and forefoot will feel like you’re stepping on a cloud with each new stride that you take. The comfort fit cushioning makes these an ideal product for those with severe heel pain and discomfort. The raised midsole gives your arch more stability and prevents ankle sprains from overpronation. Even if you have flat feet, this design is a perfect fit. All in all, these shoes are wonderful for anyone with discomfort when running. If you are looking for just a simple walk around shoe, you can be sure that this product will provide you the most luxurious fit possible. We haven’t discussed much about the Adidas’s brand but just had to mention the Adidas Performance Men’s Ultra Boost Street Running Shoes. These are Adidas’s top notch product when it comes to high-performance running shoes. For those of you who are looking for an extremely lightweight yet incredibly durable piece of athletic footwear then you must take a look at these. The stretch-web design of the outer sole makes this product one of a kind. They have basically engineered this product with a webbed structure that will pull and push without tearing. This also means that you will be able to get the most comfortable and flexible fit with minimal struggle. Your feet will feel like they aren’t even in a shoe which also provides an optimal natural feel when running or jogging. The ergonomic heel design in perfect for ankle support while providing the most movement possible. You can see the structure holding your foot in place while remaining free from obstruction. This adds to the natural feeling you will get from the time you strike the ground until the time you lift off for your next stride. In order to offer their customers a more breathable running experience, Adidas Primeknit fabric was invented. They constructed this textile fabric with your comfort, and sweaty feet in mind. This wonderful ventilation system was a perfect fit for us and will be for you too. Overall, they have made a top-notch high-performance shoe that won’t leave you wanting. Try them out for yourself and see what you’ve been missing. Nike has really outdone themselves with this one. The Nike Men’s Free Rn Distance comes in a wide variety of colors and is styled like a textile cotton fabric that is one of their coolest looking designs yet. With still providing breathability, these shoes also provide style. The tongue of this product is still made with an incredible fabric but allows more air flow for the top of the foot. They really show that they know what they are doing when it comes to shoes. Not just by offering fun and unique styles but by also providing maximum comfort for their runners. The Nike Men’s Free Rn Distance is fitted with a heel to toe inner lining that is made from a cushioning plush material that will conform to your feet. This means that no matter what type of curves your feet have, even if they are different on either foot, these produce separate supportive cushioning for both individually. That’s why we recommend these for anyone who has two different types of feet. The phylon wedge located in the center of the shoe gives maximum support for those with overpronated feet. It is also ideal for those with fallen arches or flat feet. If you are not sure what type of foot you have, refer to our guide at the top of the page for an accurate way to test your foot type. Overall, these shoes are probably the most stylish that we’ve reviewed and definitely offer ample support for just about any foot type. Let us know what you think about these shoes after you’ve used them for a while. We love to hear other experiences that our friends have too. Take your feet to the beach so they can chill out. Flat feet, otherwise known in the medical world as pes planus, are known to be a serious deformity to the body. When you look at someone’s foot, typically you will be able to easily distinguish the middle of the foot due to the arch. Some will have higher arches than others, and some won’t have an arch at all. Feet with no arch in the middle are considered to be flat. This will cause the foot to make complete contact (from the tip of the toes to the back of your heel) with the floor everytime you take a step. Roughly one-fourth of the population suffers from this medical health condition. Typically, you will see these issues start around birth. Most children will appear to have flat feet for several years until their arches develop properly. The appearance of a flat-foot in infants is often due to extra body fat that children carry around until they are toddlers and sometimes even longer. Some of the other major causes of flat feet come from wear and tear of the body throughout your life. Most people don’t know this, but you can actually begin to develop flat feet as you grow older. One of the other primary causes of this medical condition is broken bones in the foot. If you break one of the main bones in your feet that are used for posture, it can cause your arches to fall, resulting in flat feet. Another influence on the development of this condition would be dislocation of your bones. Diabetes, a known case of major foot problems, is a huge factor of fallen arches developing in adults. Arthritis is an uncomfortable and painful joint condition that can often contribute to this medical ailment. One of the most unfortunate of these medical illnesses is nerve damage. Having issues with the nerves in your lower extremities cause less support for your bones which will eventually result in flat arches. There are some cases in which flat arches are not seen on both of the patient’s feet. This is most commonly seen in youth and is caused by the lack of development of the arch in one foot. Feet in front of shoes. Will they put them on? The first of many symptoms of this ailment are if your feet start to feel tired constantly throughout the day, even when you have not been walking around. Another serious symptom is shooting pain that can feel all throughout your legs. In serious cases, the lack of posture can cause the pain to reach your back and spine. If it starts to affect your back, then you must see a doctor about proper treatments. The easiest way to tell if you have flat feet is by using the water test. It is incredibly simple to complete. All you must do is dip your foot into a bowl of water or a pool. Then simply plant your foot firmly back on the ground using a piece of paper to test the print. Make sure that you are not dripping water or you will not get an accurate print. If it shows an entirely solid footprint, then you have flatfeet. Those with arched feet will only be able to see the print of their toes, the ball of their foot, their arch, and their heel. If you notice that you can only see the ball and the heel of your footprint, then you have what’s called a high arch. There you have it, an immediate diagnosis without even having to go to the doctor! What Is the Difference Between Low Arches and High Arches? Feet like playing with sand. Some may not have flatfeet, but still, have issues with foot-related pain. This can cause issues with back pain, leg pain, and even poor posture. There are three basic types of arches that you can develop. Low arch (otherwise known as flat feet), medium arch (which is by far the most typically seen), and high arches which these can lead to medical problems just like flat feet can. High arches tend to cause more problems with heel, leg, and back pain. The higher the arch, the more pressure is being placed directly on the heel of the foot. The purpose of an arched foot-bone is to displace the pressure of your body weight over a larger surface area while maintaining balance and proper posture. How Can These Problems Affect Runners? One extremely common issue that we see with those who regularly exercise is runners knee. Fallen and high arches are both a grave cause for this painful ailment. This can also be caused due to a serious yet rather unheard of condition called Ehlers Danlos (EDS). Feet playing in the water. EDS is a serious tissue and ligament disorder. It causes hyperextension of the joints and muscles and is known to be extremely painful to live with. This disease often goes undiagnosed due to the lack of knowledge. It is also genetic, so if you have Ehlers-Danlos, your children are very likely to have it as well. For this medical disease, you must be tested by a doctor or clinic. Another major issue that this can cause is dislocation of the joints. If you regularly feel your arms, shoulders or hips popping, then you are at risk for dislocation. Running or exercising with this disease can heighten your risk for dislocation. Making sure that you have the best footwear available to support your body properly is one way to help combat this. Making sure to stretch before you start your workout routine is just as important! For those who have painful knee joints due to fallen or high arches, one of the best things you can do is look for proper footwear. If you like to exercise frequently, then you will need to find the best running shoes for runners knee. Don’t worry; we will discuss further what some of the best running shoes for runners knee later in this guide. Admit it. You’ve done this as a kid. Bowlegs, also known as genu varum, are another serious ailment that flatfootedness can cause. This is where your legs start to ‘bow’ inward around your knees. This is becoming a more and more common issue among many, even for those without fallen arches. The biggest help for this medical problem is once again, finding the right shoes. Making sure to wear proper footwear with these types of problems is crucial for your body! You would be surprised how much pain and achiness that the right shoes can help with. So finding the best running shoes for bow legged runners is a necessary venture for those with bowlegs. If you are exercising or even just walking throughout your day without the proper footwear, your thighs and leg muscles will start to tighten and ache profusely. This will cause your legs to become weaker and weaker over time. If you suffer from Ehlers Danlos as well, losing the strength in your leg muscles will lead to more severe medical problems. Overactive twitching of the muscles, arthritis, and dislocation can occur all due to simply not using the necessary footwear needed for those with this condition. Feet need some fresh air every once in a while. This medical condition is very similar to bowlegs with some key differences. Overpronation is when your ankles roll inward towards each other. Some deal with overpronation more than others, but they can both cause serious injury for runners. When you do not have the full support that you need from your ankles, you can roll and sprain your leg more easily. You can also deal more with conditions like runners knee that we discussed earlier. This ailment is often confused with fallen arches due to the flat footprint it will provide with the ankle bending inward, towards the inner leg. Overpronation also causes more stress to the muscles, the joints, and the ligaments in the foot. When this kind of strain is added to the ligaments in your lower extremities, then all the joints and muscles throughout your legs will suffer. Feeling pain all throughout your calfs, knees, thighs, glutes, and serious pain of the joints in your feet are all common symptoms. These ladies need good shoes. 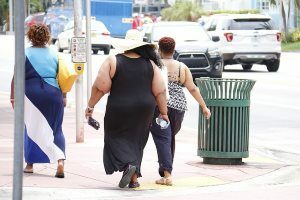 Like you have probably already guessed, obesity is something that can adversely affect all the above discussed medical conditions. When talking about your feet and legs, being overweight can cause serious problems to occur. The excess pressure that your lower extremities are dealing with is tough for them to handle. Our bodies are designed to handle a specific amount of weight according to our skeletal structure. Since everyone’s bodies are different, it is understandable that not everyone’s bodies are able to handle the same amount of pressure. Some are meant to handle more, and some are meant to support less. When you begin to add additional pressure to the support points in your legs/feet, you are overworking your body. That is when you will start to notice pain and achiness in these points like your knees, ankles, your heels, and the arches of your feet. These problems make it even harder for you to get the exercise you need. So how do you start to lose the weight? You will need to find the best shoes for obese runners! We will also go into further detail about these types of shoes and what the best kind of shoes for obese runners are. Should you be interested in finding good shoes if you are overweight, then please have a look at our overweight men’s shoes and overweight women’s shoes pages. Obesity is a serious condition that you’d do well to address properly. Walking around on bad footwear when you are obese, can lead to the development of plantar fasciitis, a painful foot condition for which you’ll need shoes that support PF. What About Those with Wide Feet? If you are someone who has wide feet, then making sure to pick the perfect shoes is imperative. When you try to jam your foot into a shoe that is too small, there will be serious negative repercussions that your body will have to deal with. Serious back pain is one of these. If you are using shoes that don’t fit you, you are basically subjecting your body to unsafe conditions that you will end up suffering for. Making sure that your footwear is the right size for you will keep your feet from being squished and uncomfortable in a number of different ways. The joints will not be able to move and function properly. Your toes will not be able to help support you either, which can lead to additional pressure being added to sections of your feet that will start to ache as well. The issue with wide feet is finding the right sized shoes that will fit you! What Can Proper Footwear Actually Do for Your Pain? Sandy feet in dire need of some water. The right footwear can help with all of these issues. Of course, it isn’t a magical fix for your problem, and it will take some time for your body to get used to having the proper support system in place. However, this is the best thing that you can do for any of these medical problems that we have discussed. Most of us don’t think about how our shoes can affect our bodies. However, we must remember what our feet actually do. Just like the foundation of a home, our feet are the base structure of our entire bodies. Without protection and stability, the rest of the structure is at risk. This is why using the best shoes available for our bodies is crucial for obtaining great health! Using shoes that don’t provide the support and stability that you need will cause a plethora of painful problems. Dealing with poor footwear can lead to aches and pain in your legs and can even lead to a syndrome known as restless-leg syndrome. This is where you feel tingles or pricks all throughout your lower extremities and is most common when you try to lay down to sleep at night. So basically, you need to make sure that you are using the best footwear possible for your particular feet. Let’s discuss what kind of shoes are best for different feet! 3 What Are Flat Feet? 5 How Can You Tell If You Have Flat Feet? 6 What Is the Difference Between Low Arches and High Arches? 7 How Can These Problems Affect Runners? 12 What About Those with Wide Feet? 13 What Can Proper Footwear Actually Do for Your Pain?